Time Entry Reports show the entries that calculate the Actual Hours and Actual Time fields in Project Insight. Click the Create Time Entry Report button to get started. What information do you want to know about these Time Entries? The next set of options asks which data fields are important to you. Group By / Sub Total Options sort order, roll-up information, and organize your results. 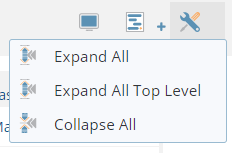 Using the Columns tutorial is already in the Page Display Options article, but these columns are every possible reportable field in Project Insight. Some are entered by the user and others are calculated. If using Group Bys, use the triangle carats to expand and collapse according to your Group By selections.